Cut chicken into 1-inch pieces. Combine marinade ingredients in a bowl. Add chicken and stir to coat. Let stand for 10 minutes. Combine sauce ingredients in a bowl; set aside. Place a wok over high heat until hot. Add 2 tablespoons oil, swirling to coat sides. Add chicken and stir-fry for 2 minutes. Remove chicken from the wok. Add remaining 1/2 tablespoon oil, swirling to coat sides. Add ginger, chiles, garlic and cook, stirring, until fragrant, about 10 seconds. Add celery, bell pepper, and bamboo shoots; stir-fry for 1 1/2 minutes. 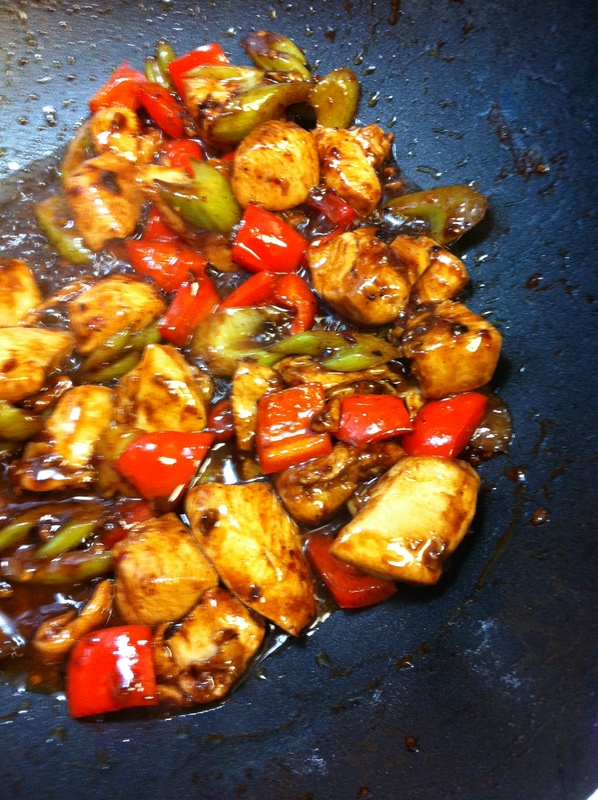 Return chicken and chilies to wok; stir-fry for 1 minute. Add sauce and bring to a boil. Add cornstarch solution and cook, stirring, until sauce boils and thickens. 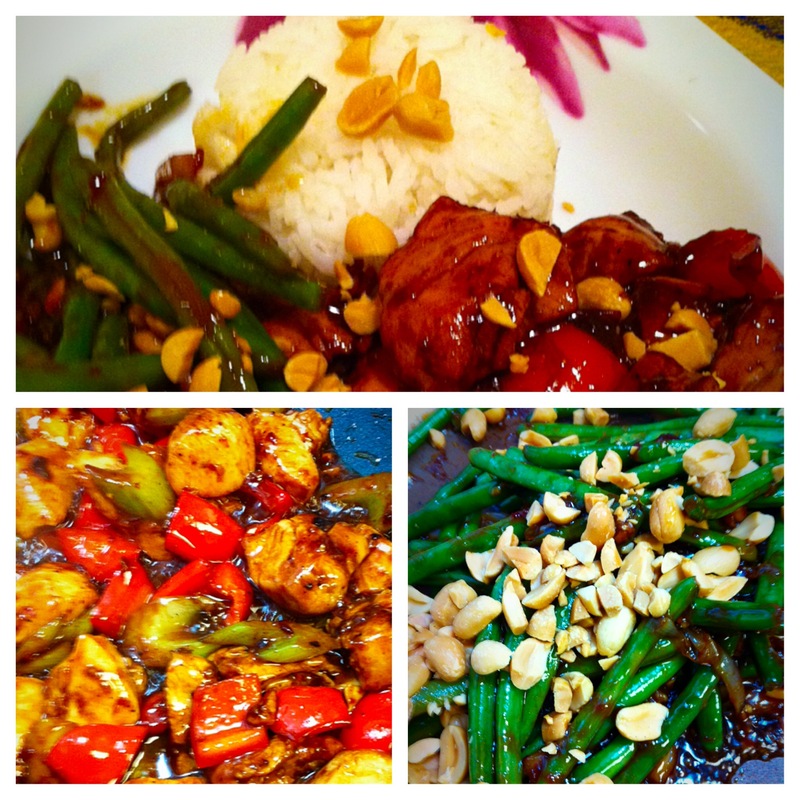 This entry was posted in Asian, Recipes and tagged asian, garlic, ginger, Kung Pao chicken, szechuan, Szechuan cooking by Chatty Kathy. Bookmark the permalink.